Freisicht Eyewear released the new AVANTGARDE collection at MIDO in February 2019. The company has developed a special “woodflex process” designed to offer the complete adjustment of elegant, high-quality solid wood frames in species such as sycamore and walnut. Noble, deep, dark and discreetly fiery grains combine with smooth surfaces and interesting natural colours. 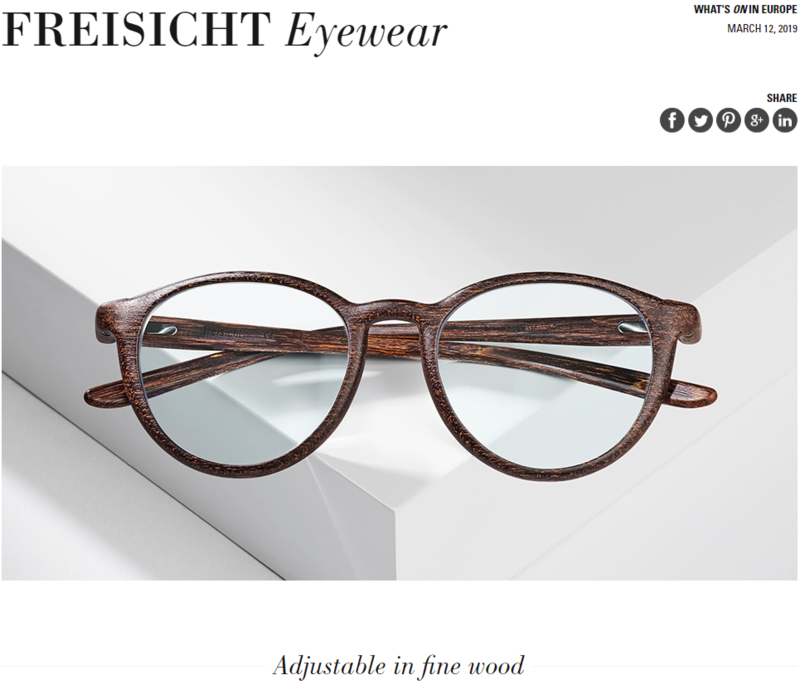 Freisicht frames are produced in Germany. Through traditional techniques and thanks to the special properties of the wood, the frames are given a unique and organic design – with rounded edges, depths of detail, grain and patina to make each piece unique.